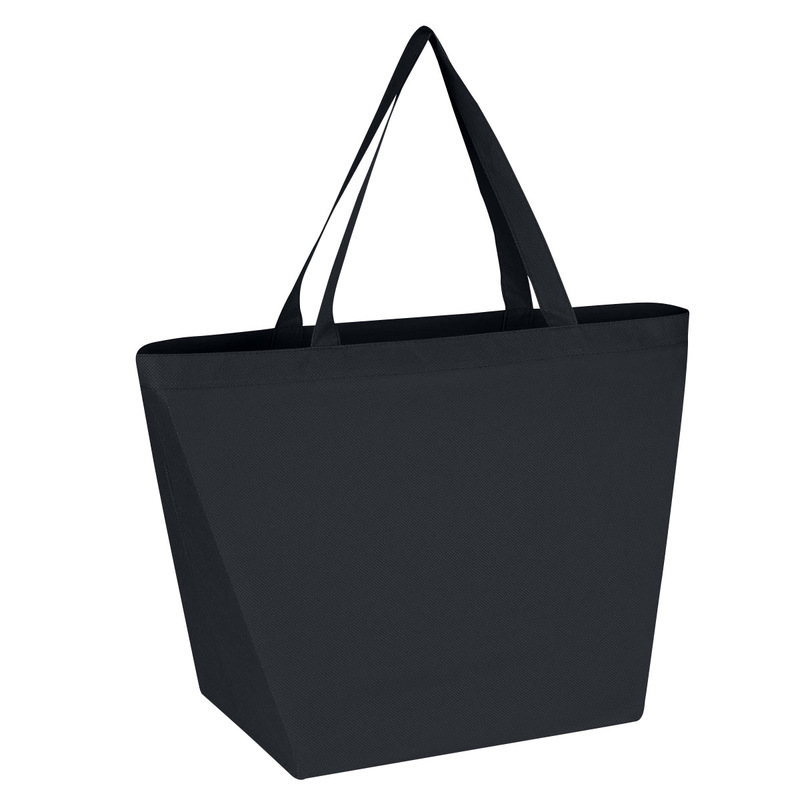 Made Of 80 Gram Non-Woven, Coated Water-Resistant Polypropylene. Great For Grocery Stores, Markets, Book Stores, Gift Bags, Etc. 8" Gusset that is reusable and recyclable. 20" Handles.